The Citizens’ Law Enforcement Review Board staff is recommending the dismissal of 22 investigations involving people who’ve died in county detention facilities or while being taken into custody. A number of experts said the rule being used to justify the dismissals shouldn’t apply to CLERB, and similar oversight groups across the state don’t interpret the rule that way. The group tasked with investigating in-custody deaths and complaints against county law enforcement is on the cusp of dismissing 22 death cases without any investigation at all. The Citizens’ Law Enforcement Review Board staff is recommending the dismissal of 22 investigations involving people who’ve died in county detention facilities or while being taken into custody. It appears to be the first time that the board, created in 1990, has failed to issue findings in a death case. The board is set to make the final decision on whether to dismiss the cases on Nov. 14. To justify the dismissals, CLERB is citing a section of the California Public Safety Officers Bill of Rights, which governs how law enforcement agencies handle investigations into alleged police misconduct. Under the law, “no public safety officer shall be subjected to punitive action” if an investigation isn’t completed within a year. “To just wholesale close cases, I’ve never seen an agency do that,” she said. Mike Gennaco, former lead attorney of Los Angeles’ Office of Independent Review, said the law doesn’t prohibit investigations, which should be conducted to potentially identify shortcomings in training or policy. “For that reason, several law enforcement agencies continue forward with investigations even if they are more than a year old,” he said. County spokeswoman Alex Bell wrote via email that CLERB hired a new executive officer in June — its previous executive officer resigned a year ago amid allegations of mismanagement — and has been reviewing policies and open investigations. “The 22 cases were identified as appropriate for summary dismissal because of time limitations provided by state law,” she said. The case Bell refers to is a 2002 appellate court ruling, Caloca v. County of San Diego. 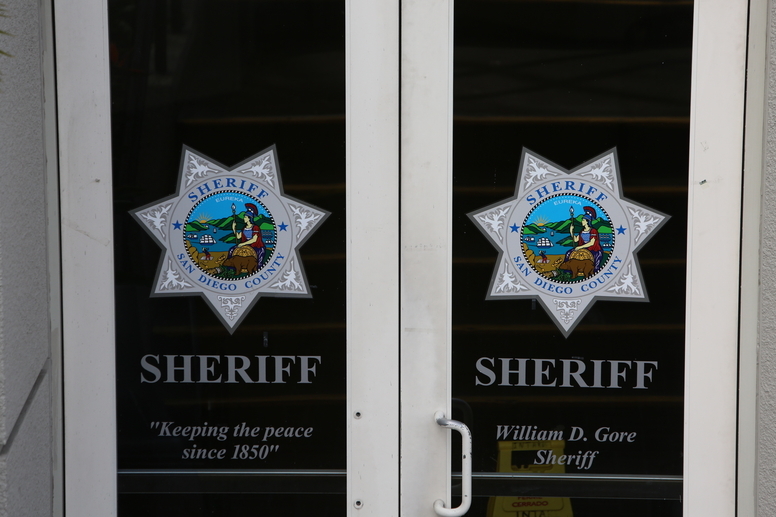 In the case, several San Diego County Sheriff’s deputies sued the county over CLERB misconduct findings. At the time, their names were part of CLERB’s public reports, and the court found that issuing those reports constituted punitive action. But subsequent case law now makes it illegal for oversight boards in California to release the names of officers they’re investigating. John Crew, former director of the ACLU’s Police Practices Project, said the Police Officers’ Bill of Rights offers a number of exceptions to the one-year rule, like for complicated cases involving multiple deputies and witnesses, or if civil litigation’s been filed that names a specific officer or officers. Crew, who helped write the exceptions when he was with the ACLU, said dismissing so many cases undermines the “learn from our mistakes” purpose of law enforcement oversight. The county is currently facing at least six lawsuits involving jail deaths and, since March 2015, has paid more than $6 million in settlements. Attorneys for some of the families whose loved ones died in the cases being dismissed say officials are forgoing the chance to seriously examine what went wrong and whether policies or practices could be implemented to prevent further deaths. Kristopher Nesmith, a 21-year-old Marine stationed at Camp Pendleton, hanged himself in the Vista Detention Facility in March 2014. He’d been arrested for multiple assaults in late 2013. His family, which is suing the county, said he struggled with PTSD after nearly being shot in the head during a training exercise. According to the lawsuit, deputies saw that Nesmith was fashioning a noose in his jail cell and had affixed one end to an overhead light, but did nothing to stop him. According to the Union-Tribune, Simon Hubble walked out of a sober-living home on May 27, 2015, and went to his parents’ house in Alpine, threatening suicide. The report says the deputies who responded to the parents’ 911 call knew Hubble’s history of mental illness and suicide attempts. When Hubble began walking toward them with a screwdriver, deputies Tasered him twice. One deputy, who’d backed into a dirt road embankment, feared “he’d fall and be attacked” and shot Hubble three times, twice in the chest. The oldest case being dismissed involves 70-year-old Russell Hartsaw, who was beaten to death in July 2011 in the George Bailey Detention Facility by a 6-foot-4, 215-pound gang member nicknamed “Evil.” Hartsaw, who was frail, mentally ill and gay, was supposed to be kept in protective custody, a housing status reserved for inmates who could be targets in a jail’s general population. In June 2013, Hugo Barragan’s grandmother told the Union-Tribune that she watched while Sheriff’s deputies punched, kicked and Tasered her grandson — and, according to the U-T, a “police dog chewed his ear off” — in her living room. Barragan had ended up at her house after deputies tried to pull him over for erratic driving. He died at the scene from cardiac arrest after deputies placed his arms and legs in restraints. Sixteen-year-old Rosemary Summers committed suicide in the Girls Rehabilitation Facility in Kearny Mesa in 2013. A lawsuit filed by her family argues that the probation officers who staff GRF failed to take Summers’ multiple suicide threats seriously. The evening of Sept. 23, 2013, she covered the door window of her room with a piece of paper and secured the door shut with a bed sheet. Only after another ward urged an officer to check on Summers was she found hanging from a ceiling vent by a sheet she’d turned into a noose. In late 2015, the county settled the lawsuit for $1 million. Brody McBride, one of the attorneys for Summers’ family, said an independent review could have highlighted the need for policy changes. “No question that CLERB failed Rosemary,” he said. Sue Quinn, who served as CLERB’s first special investigator and, from 1995 to 1997 as its executive officer, said it’s “shameful” that CLERB hadn’t been making death investigations a priority. “It chose to allow the most serious cases to languish unexamined,” she said. Update: In a closed-session vote at its Nov. 14 meeting, the board voted to dismiss all 22 cases.